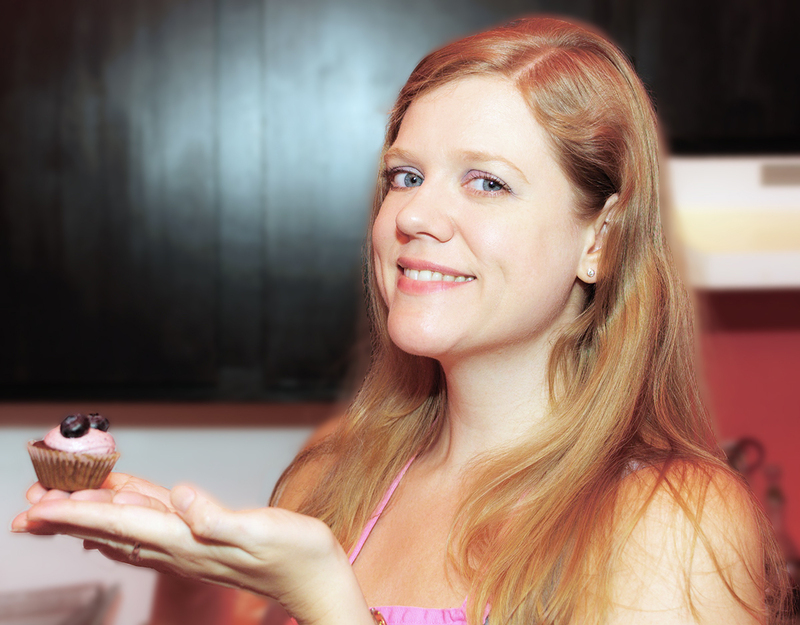 When a cupcake-loving houseguest came to stay, I kept it simple. I baked my favorite vanilla cupcake and whipped up my regular buttercream frosting (see comments below for recipe) with a square of melted Baker’s Semi-sweet Chocolate. 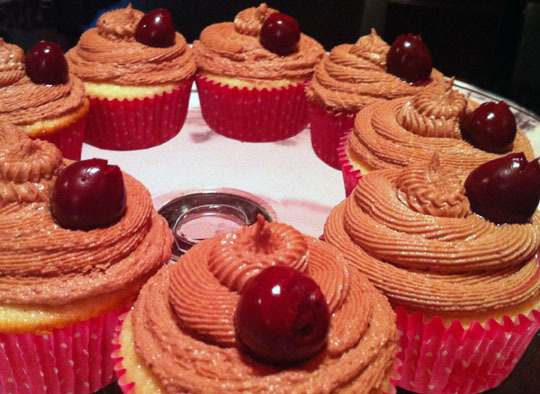 I topped them with a sour cherry. My brother-in-law loves Whoppers-malt ball candy. I noticed you made a cupcake with sweet butter cream frosting. I would like the recipe for the frosting as I’m going to try my hand at the cupcake with a bit of tweeking. Also as a beginner what did you use to apply the frosting to make it look so great? For the chocolate icing here, I used melted baker’s chocolate instead of milk, basically. To frost, use a pastry/piping bag–or a plastic sandwich baggie in a pinch! 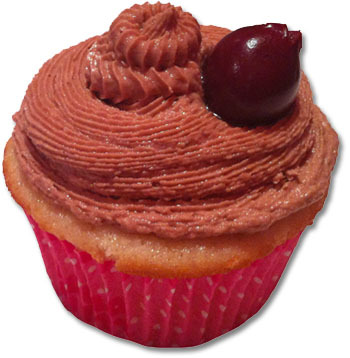 For the cupcakes above (chocolate icing), I used an Ateco #199 tip. To create that swirl, I started on the inside, piped in larger circles around to the outside, then smaller on top back into the middle to finish. For the Whoppers cupcakes (vanilla buttercream), I used a Wilton #1M. I piped 3-4 dollops close together on each cupcake. To get a nice peak using either tip, stop piping just as you pull up. Hope that’s useful! Good luck, and let me know how your cupcakes turn out!